Hi, My name is Toni. I have been an unofficial doula since I was 13 years old. After that time I became more fascinated with birth than any of my teenage counterparts. I have been an official doula since 2002, shortly after having my own empowering birth. I wanted to share the joys of natural birth with all the women I met so I decided to follow my life's passion. I believe that childbirth is a normal process and is best done without intervention. I also believe that birth is not a medical procedure and proceeds best when it is not treated in that manner. I believe in a woman's right to birth the way that she and her partner sees fit and where they both feel safest. I have attended births with women in and out of the hospital setting. I have assisted multiple clients during successful VBACS. I have supported couples with both planned medicated and un-medicated births. My goal is for you to be informed of all your choices and happy with your birth experience no matter how you intend to birth. I believe every woman deserves and should have a doula during her pregnancy, birth, and postpartum period. The benefits of having a doula are insurmountable. Everybody involved in the birth of a baby treasures those memories forever. My dream for all women and the families that surround them is that those memories are precious, positive, and only bring tears of joy to their eyes. I have completed doula training with ToLabor, formerly known as ALACE, Birth Arts, Madriella, and CAPPA. I completed my childbirth education training through CAPPA. In May 2013 I became a Child Passenger Safety technician through Safe Kids. I have completed multiple midwifery skills workshops with very experienced midwives from Alabama, Mississippi, and Tennessee. In June 2013 I completed midwifery apprentice training at The Farm. In August 2013, I completed advanced midwifery at the Farm as well. In the spring of 2014 I completed NRP certification. In 2015, I became an approved workshop provider through Madriella. I am enrolled in the distance midwifery program with Mercy in Action. Although I am practicing in Mississippi as a DEM (direct entry midwife), I am working towards gaining the status of Certified professional Midwife. For almost a decade I have been employed part-time as a WIC Lactation specialist where I have gained valuable breastfeeding experience. I am a current La Leche League leader with La Leche League of Northeast Mississippi. I am the executive director of the Northeast Mississippi Birthing Project where I pair women with volunteer mentors, teach classes, and lead an awesome team of community based doulas and breastfeeding peer counselors. For those women whose partners are serving in the military oversees and can't be with them at their births, I volunteer through Operation Special Delivery. 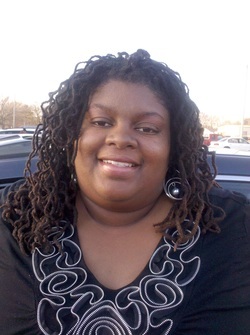 I was a 2011-2012 board member of the Mississippi Friends of Midwives. I am an active board member of the North Mississippi Breastfeeding Coalition. When I'm not working, I spend my days homeschooling our four children with the love and support of Jimmy my soul mate. My hobbies (other than birth and breastfeeding) include sewing, reading, and spending as much time as I can outside playing with the kids and going on short day trips Geocaching. I am constantly learning all I can about birth, breastfeeding, baby care and women’s health to better inform everyone I meet to empowerment.